FRANCIS, Philip (1740-1818), of St. James's Square, Westminster and East Sheen, Surr. b. 22 Oct. 1740, o.s. of Rev. 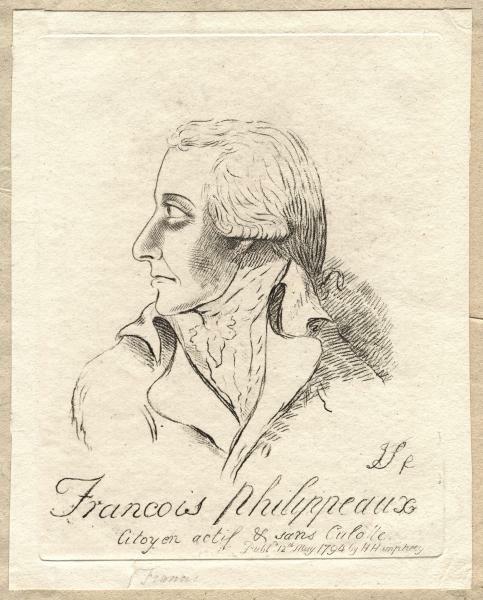 Philip Francis, DD, of Dublin by Elizabeth née Rowe. educ. Roe’s sch. Dublin; fa.’s sch. Esher; St. Paul’s 1753-6. m. (1) 27 Feb. 1762, Elizabeth (d. 5 Apr. 1806), da. of Alexander Mackrabie, merchant, of Fulham, Mdx., 1s. 5da. ; (2) 9 Dec. 1814, Emma, da. of Rev. Henry Watkins, preb. of York, s.p. suc. fa. 1773. KB 29 Oct. 1806; GCB 2 Jan. 1815. Clerk, sec. of state’s office Apr. 1756-Jan. 1763; first clerk, War Office Jan. 1763-Feb. 1772; member of council, Bengal 1774-81. His contention was that Bengal, the premier colony, should be preserved by peace and non-expansion and that alliances with native princes should be avoided, while their rights should be respected; above all, that the East India Company, now ‘poor in revenue and bankrupt in trade’ and acquiring territory irresponsibly, was not a fit body for the government of India, a task which the British government should face up to; until administration accepted full accountability to Parliament for Indian affairs, abuses such as Hastings was impeached for would continue. This policy, which he outlined on 22 Dec. 1790, he repeated, with variations, on countless occasions to a House which he invariably considered ill-attended for a matter of great moment. He deplored the sending out of extra English troops to India and the freedom of action given the governor-general, 17, 28 Feb. 1791, and asked why soldiers, rather than civilians, were given the rule of the province: ‘We were obliged to resort to the grand remedy of absolute power’ (24 May). Why was the House not kept informed of Indian dispatches and of the state of the war there? (9 Feb. 1792, seconding Maitland’s motion). While supporting Dundas’s motion congratulating Cornwallis on his conduct of war, he thought tribute money rather than territory should have been exacted in the peace treaty (19 Dec.); and on 23 Apr. 1793 he opposed Dundas’s resolutions on the renewal of the East India Company charter, treating the Company’s position as wholly anomalous; he was opposed to its obtaining any loans (10 Apr. 1794): indemnifying it was a fraud (14 Apr.). 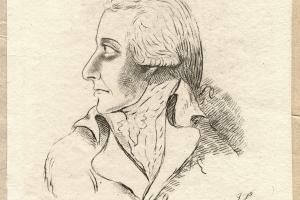 Francis resumed his parliamentary career in 1802 as Lord Thanet’s Member for Appleby, at his own expense. Lord Minto reported, ‘he says he shall be a very different man. I should not be surprised to see him high in office. He told me one day that he wished to act with Windham and me; that however does not look much like office.’ To Thanet he wrote, 19 Apr. 1804, ‘I will say and do everything that you and my Lady desire, from henceforward evermore. For many reasons, but particularly because I care very little what I say or do now.’7 He had visited Paris in the summer of 1802 and informed Buonaparte, who had expressed his wishes for the duration of peace, ‘That depends on you, General’.8 The illness and death of one of his daughters detained him there until the following spring. On 11 Mar. 1803 he warned the House that the peace of Amiens was ‘a hollow truce’. He was reported ready with a speech in support of Patten’s censure motion but he adhered to Fox’s line and, after recovery from a dangerous illness in June, supported his motion for a council of general officers, 2 Aug. He also discredited Sheridan’s attempts to link the Prince of Wales with Addington’s administration. Fox was gratified by his loyalty, and Fox’s lieutenant, Grey, conscious of his value as a publicist.9 On 5 Dec. 1803 he opposed the Irish martial law bill, calling for tenderness and conciliation. He supported Wrottesley’s motion for inquiry into the conduct of the Irish government, 7 Mar. 1804. Having on 29 Feb. led the opposition to the volunteer consolidation bill, he steadily supported the combined opposition that brought down Addington in April and was at once suspicious of the failure of Pitt to make his ministry a comprehensive one.10 Listed a Foxite, he opposed Pitt throughout. He had remained a critic of the East India Company, 14 Mar., 29 July 1803, and was an outspoken opponent of the Marquess Wellesley’s expansionist policy, 6 Apr., 3, 7 May 1804. With a view to reversing it, on 10 July 1804 he proposed an inquiry into Indian affairs since 1782. He was placed on the East India select committee in 1805, but had to be satisfied with Wellesley’s replacement by Cornwallis, whose death he sincerely lamented, 3 Feb. 1806. In 1780, I stood next to the governor-general in the government of India ... with the prospect of the succession to the first place, which I might easily have realised ... If you can name a man, among all the King’s subjects, better entitled than I am to be trusted with the task ... name him ... the government of India is the only real reparation that can be offered me for all my sufferings in that country and for the slight and injustice I have met with in England from the year 1781 to this hour ... without that motive, the wealth of India, if it were still as rich as when it was conquered by Lord Clive, would not tempt me to go there. Had Francis been sent to Bengal, he was prepared to bury the hatchet with Wellesley and obstruct James Paull* in his efforts to impeach Wellesley.12 In his disappointment he joined Paull in his attacks and Prinsep in his motions critical of East India Company finances. Nor would he support Tierney’s election treating bill, 21 Mar., 29 Apr. 1806: ‘if you gave the voter nothing to eat or drink in a journey of 200 miles, he would scarcely be alive by the time he came to the place of polling’. He objected to the exemption of foreign investors from the property tax, 23 May. But he supported the repeal of Pitt’s Additional Force Act, 30 Apr., and remained staunch for the abolition of the slave trade, objecting to compensation to slave-owners, 10 June 1806, 20 Feb., 6 Mar. 1807. On Fox’s death he had fresh hopes of employment, rather than mere decoration, suggesting to Windham that he could not better be disposed of than as civil governor of Buenos Aires. When this possibility receded, he reserved for himself the government of Jamaica, 7 Jan. 1807.13 Nothing came of this. He voted for Brand’s motion after the dismissal of his friends from office, 9 Apr. His last speeches were inevitably on India, though he had ‘long wished to give up all concern with the affairs of India, on account of the inadequate effects which he had found to result from his earnest and frequent appeals to the House on that subject’, 25 Mar. 1807. Francis had ‘behaved so shabbily’, in Lord Thanet’s view, that he was ‘glad to be rid of him’ and paid him compensation to resign his pretensions to Appleby in 1807. Neither he nor his son Philip, who had been nibbling at Bridport, obtained a seat. Nor would he help the Whigs in their election campaign. He was represented to Samuel Whitbread as his admirer, but by now he was too sour to admire anyone.14 He was still fond of publicity. In 1810 he published his Reflections on the abundance of paper in circulation. In January 1811, anticipating a Whig return to office, he commended himself to the Prince and to Grey, suggesting that he might be appointed Irish secretary. Neither then nor on the expiration of the Regency restrictions did the Prince offer him anything beyond hospitality. He was invited to become a Friend of Constitutional Reform, but described it to John Cartwright, 2 Apr. 1811, as ‘a hopeless enterprise’, as ‘the mass of the English population is inert’.15 His last public act was to defend detainees under the suspension of habeas corpus in 1817. His temper is irritable to madness; indeed, he is more or less always in a passion, for if he begins temperately, the ardour of his imagination works him to rage before the sentence closes. He has a remarkable facility in writing all state papers, protests, petitions, etc. etc. Nathaniel Wraxall paid tribute to his rare talents—‘a vast range of ideas, a retentive memory, a classic mind, considerable command of language, energy of thought and expression’—but added, ‘Acrimony distinguished and characterized him in everything. I believe I never saw him smile.’ So ‘one of the luminaries of the reign’ was a byword for peevishness.16 He died 23 Dec. 1818. 1. Francis Letters, 418; Parkes, 357. 2. Francis Letters, p. vi; Gent. Mag. (1819), i. 84; Parl. Portraits (1795), i. 93; Windham Diary, 175. 3. Farington, vii. 45; Parkes, ii. 279; Parl. Deb. vi. 878. 4. Malmesbury Diaries, ii. 472; Harewood mss, Canning jnl. 10 Apr. 1794; Parkes, ii. 282; Burke Corresp. vi. 85, 88, 150, 170; Windham Pprs. i. 233; Morning Chron. 21 Mar. ; Blair Adam mss, Windham to Adam, 13 July; Grey mss, Tierney to Grey, 4 Nov. 1792; Minto, ii. 2, 11, 20, 42; Add. 50829, Portland to Adair, 4 May 1793; Courier, 9 Jan. 1795; Farington Diary (Yale ed. ), i. 277; Oracle, 25 Nov. 1795. 5. Parl. Deb. vi. 509; Debrett (ser. 3), iv. 684; N. Riding RO, Wyvill mss ZFW7/2/91/13, 15, 22, 23, 27; The Times, 1, 9 June; Morning Chron. 7 June, 28 Aug. 1797; Minto, ii. 412-13; Holland, Mems. Whig Party, i. 100-1; Jnl. of Lady Holland, i. 268-9; Parkes, ii. 305-7. 6. The Times, 22 Mar. ; Arundel Castle mss, Suffolk to Norfolk, 8 June 1798; B. Connell, Whig Peer, 412, 415, 416; Jnl. of Lady Holland, i. 190, 255; Chatsworth mss, Lady E. Foster jnl. 20 Jan., 1, 7 Feb. 1799; Malmesbury Diaries, iv. 17. 7. Francis Letters, ii. 493; Parkes, ii. 348; NLS mss 11054, f. 167. 8. Glenbervie Diaries, i. 337; Broughton, Recollections, vi. 129. 9. Add. 47565, f. 105; 51585, Tierney to Lady Holland, 2 Apr. ; Morning Chron. 13 June; Grey mss, Spencer to Grey, 22 Aug. ; Whitbread mss W1/889. 10. Prince of Wales Corresp. v. 1868. 11. Add. 37847, f. 20; 37883, ff. 143, 145, 147, 152; HMC Fortescue, viii. 33-5, 48; Prince of Wales Corresp. v. 2149, 2158-9; Parkes, ii. 355; Creevey Pprs. ed. Maxwell, i. 149; Harewood mss, Canning to his wife, 10 Mar. ; Grey mss, Francis to Howick, 22 Apr. 1806. 12. HMC Fortescue, vii. 337; Colchester, ii. 74. 13. Add. 37884, f. 155; 37885, f. 190; 37886, f. 101; HMC Fortescue, x. 371; Prince of Wales Corresp. v. 2241. 14. Grey mss, Thanet to Howick, 24 May 1807; Brougham mss 34191; Whitbread mss W1/4185. 15. Prince of Wales Corresp. vii. 2817; Grey mss, Francis to Grey, 20 Jan. 1811; Parkes, ii. 373; Creevey Pprs. i. 149; Cartwright Corresp. ii. 4. 16. Holland, Further Mems. Whig Party, 404; Jnl. of Lady Holland, i. 268-9; Wraxall Mems. ed. Wheatley, iii. 439; Gent. Mag. (1819), i. 84; Sidmouth mss, Hill to Addington, 1 Apr. 1803.